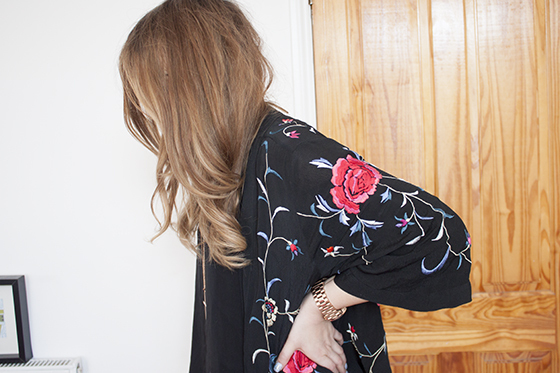 Gosh for the sake of finding a link for this kimono I saw it went down to £10 in the sale! £10! I paid like £50 for it *shakes fist* CURSE YOU TOPSHOP! Boo. Im so annoyed! I swear pretty much everything I buy goes into the sale, I cant work out if that means I like things no one else does or shops just generally hate me. I've worn this outfit on the blog before a few months ago but it's what I wore today so I guess I can repeat it again! I really love these corduroy leggings that I picked from ASOS. I haven't worn anything corduroy since those horrendous super wide flares that were fashionable in 2003. I think I had a bright red pair! How hideous! But these are great, and really warm too. They just add a different texture to the look which I like. I also made a video to go alongside this so head over to Youtube to give it a little look if you're that way inclined! Tonights my housemate and best pal's birthday so we're off to Central for food and cocktails. I literally cannot wait. I've been trying to rest up today and fingers crossed I'll be alright going out for a bit. I made a feeble attempt to go out last night but lasted a few hours before heading back home. No so sure on the leggings, although you wear them well. This kimono is so pretty ! Your hair is looking great at the mo.! 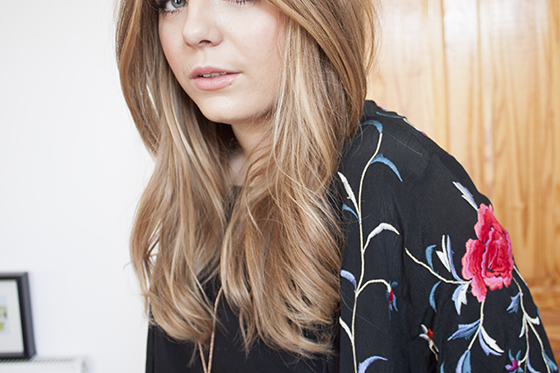 Absolutely love your hair in these photos! And corduroy leggings ... I didn't even know they existed, but i now know that I need some! that's a lovely kimono! if i'd seen it online before this post, i probably wouldn't have wanted it but it looks so lovely on! gutted it's sold out! hope you start to feel better! love the little jacket thing..
check out Vegan leather on my blog today! I absolutely love your kimono! 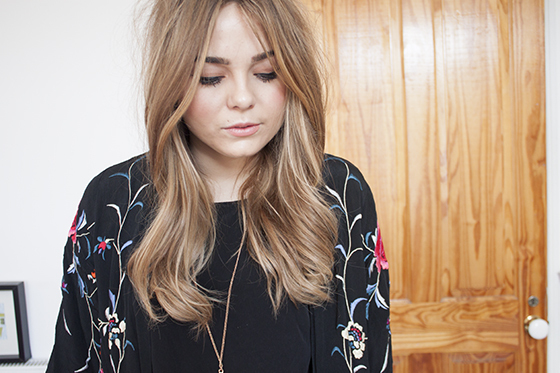 I love this kimono and now for only £10 I'll have to get it! 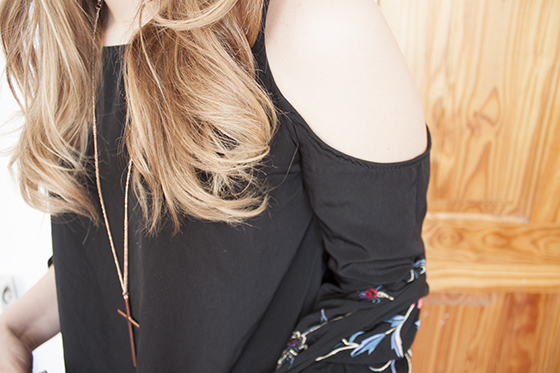 The kimono is so perfect for your figure and I love black on you! I absolutely love this outfit!! I want this kimono!! SO pretty!! your hair looks so beautiful and healthy, so jelous! I hate it when you see things you've bought in the sale, I did it yesterday in Topshop too! Love the design of the kimono, nice choice! Your hair is so lovely! Great outfit, the kimono is SO awesome. Oh I hate it when that happens..but it's such a lovely piece, the print is gorgeous!! I seem to have the same luck when it comes to buying things. I'm just too impatient to wait for anything to go on sale, really. I've been searching for the perfect Kimono for a while now, Unfortunately the topshop link isn't taking me to it, so I will continue my search! Your hair looks wonderful in these set of photos, Beautiful. Oooh I like that floral getup - very cool. I know exactly what you mean about things going into the sale!!! 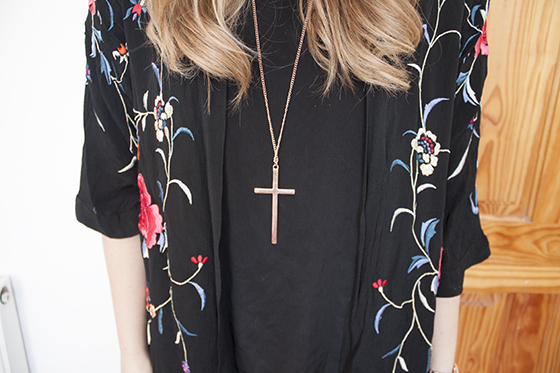 Your floral kimono is to die for.. suits you perfectly! That outfit is so sophisticated and classy! I love the shoes, they look like they're from River Island! Love the outfit and the colours of the kimono! Your hair looks really different in these! Ahh I manically checked online as soon as you said that it was down to £10 but it's sold out! Damnit! Lovely oufit! 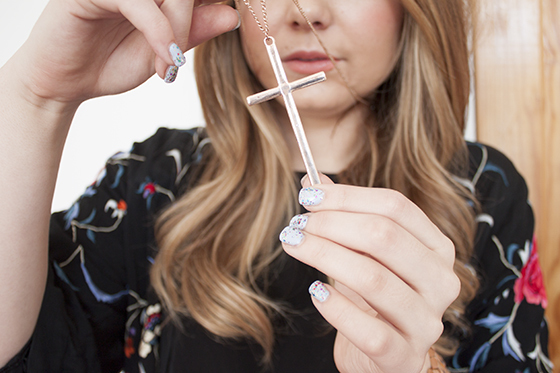 I've actually just posted an OOTD on my blog if you'd like to take a look! Featuring some nice finds from H&M and Primark! When that happens I literally feel like that shop has stolen my money and I feel angry at them for a little bit and don't shop there again for a while, it's soooo irritating! Beautiful kimono! Love the pretty flowers! Your hair looks amaaaaaazing here! How do you get it so perfect? ?